Do you have poker tracking software on your Mac that allows you to replay any hand and record it to a video? Something you can play in QuickTime, send to your friends or to online poker forums, or post on YouTube? The next update of Poker Copilot will do this. 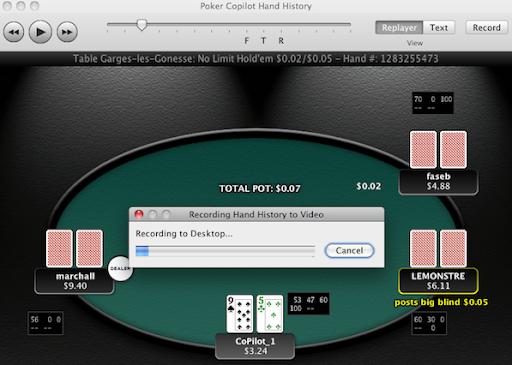 One click on the replayer’s “Record” button, and a video replay of the hand is saved to your desktop.